Independent developer Free Lives and Devolver Digital have published their best-selling indie game Broforce on Nintendo Switch! Players can unleash the full arsenal of bro power with four-players local and online co-op. 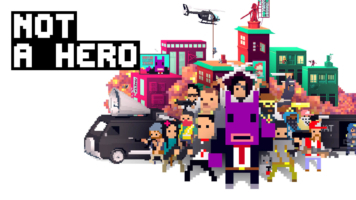 The handsome lads of developer Roll7 (Laser League, OlliOlli) and Devolver Digital are proud to announce Not A Hero: Super Snazzy Edition is available on Nintendo Switch. 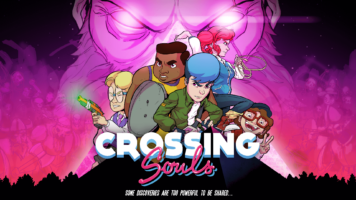 Crossing Souls makes good on all its homages to Nintendo games and 80s video game culture today as it comes home to Nintendo Switch. Available now on the Nintendo eShop, players will join Chris, Matt, Charlie, Big Joe and Kevin on an adventure in their California suburb in the midst of a supernatural event that rocks the small community as grand forces siege the town. Change characters on the fly and use each character’s specialties to overcome any obstacle and target your foe’s weaknesses. 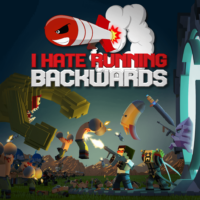 Fight in real-time, solve clever puzzles, face off against powerful bosses and play special levels inspired by 80’s arcade video games. Devolver Digital and Megacat Studios have announced Fork Parker’s Crunch Out at the Game Developer Conference today. 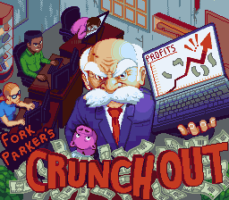 Fork Parker’s Crunch Out is an original game exclusively designed for the Super Nintendo Entertainment System and preorders are now available at megacatstudios.com for $49.99. 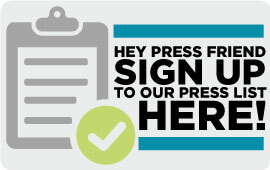 The entirety of Devolver Digital’s profits will benefit the video game industry’s Take This organization, which is a nonprofit dedicated to informing the games community about mental health issues, providing education and services within the industry and tackling mental illness prevention.